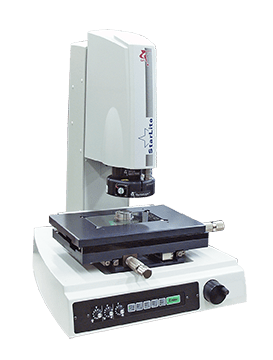 The manual semi-automatic, non-contact benchtop solution for in-process measurement or full component metrology tasks suits virtually every manufacturer. 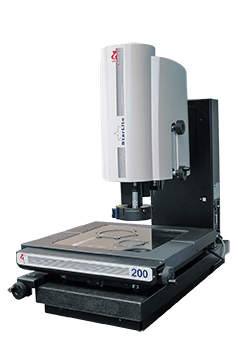 Using video measurement technology with incorporated automatic edge-detection, this machine guarantees measurement accuracy and high-repeatability in one easy-to-use system. Starlite combines full geometric measurement capabilities in a simple operation, so that even less experienced operators can prove component quality swiftly. The Starlite range delivers practicality and performance in a semi-automatic system. Intuitive Gauge-X metrology software includes powerful functions for general purpose dimensional measurement with an easy-to-use graphic interface. Guiding users through the measurement routine with comprehensive instructions, alongside the exclusive CompuFocus feature that ensures repeatable focus results from user to user. The precise 6.5 to 1 motorised programmable zoom lens ensures image focus and maintains centrality to the axis throughout measurement tasks. For expansion of the magnification range additional lens attachments can be integrated. Starlite systems include precision mechanical bearing XYZ transports with 1.0 pm linear scales mounted to a stable granite base and column. Manual quick release XY motion controls allows for rapid positioning while adjustment turn handles provide precise motion. Fine and coarse Z motion adjustment turn handles simplify focusing. Starlite with Gauge-X features full field-of-view image processing with advanced edge detection, designed for real world applications.